Brentwood Park is proud of its ability to deliver a comprehensive curriculum, inclusive of the performing arts. 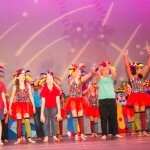 Performing arts occasions are always well received and supported by the community. Through our committed staff, our annual celebration has successively developed in all aspects of production. These can range from instrumental presentations by individual classes at assemblies to full scale productions. 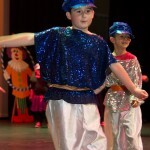 When required, sets, costume design and creation has been supported by parent participation workshops. Centre or Cardinia Cultural Centre, usually in Term Three. The production usually operates over two or three evenings. The showcasing of our performing arts in Year Prep, Year One and Year Two takes form as Year level afternoon concerts in the school Performing Arts Centre.